St Patrick Day also known as the feast of St Patrick is a celebration of the patron of Ireland and the Country's culture. The Shamrock which is the national flower of Ireland is always a large feature of St Patrick Day. One of the stories around St Patrick is that he was responsible for driving the snakes from Ireland. There are also many buildings with the name St Patrick on around the world. Green is the predominant color of the day. 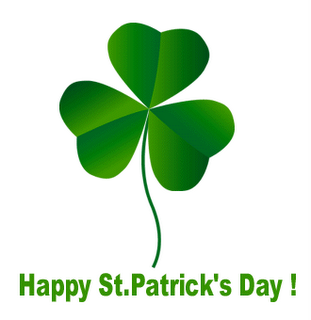 Some communities around the World celebrate with parades, 'wearing the green', music and songs, Irish food and drink, and activities for children.